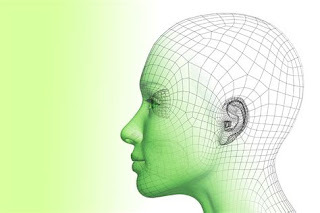 Australian researchers have developed a first of its kind 3D facial recognition system. It's breakthrough tech that improves security measures and may eliminate the need for personal passwords. Experts say this model for scaling 3D facial recognition could transform the biometrics industry. The University of Western Australia research team created a unique model that analyzed 3.1 million 3D scans of more than 100,000 people. The model was trained to learn the identities of a large dataset group of "known" persons and then match "test" faces to those identities. The system worked. The researchers found the 3D scans are more accurate and robust. It recognizes individuals in an instant, no matter what the pose, sees through masks and determines if they're legitimate. This could considerably upgrade security on devices that use facial recognition to gain access to networks and systems. Important because facial recognition is the tool of choice for surveillance, security and IT industries and relies on systems to determine whether or not the person is legitimate. 3D models can address changes in facial structure, poses and expressions unlike 2D models currently in use. Most 2D models gather information from the internet. 3D models need to gather information from real subjects and that does limit their use. With 3D cameras becoming more affordable, the future of 3D face recognition is taking-off. The breakthrough of 3D scans is that if the subject is wearing glasses or even a face mask the deep, 3D model can recognize them in an instant.